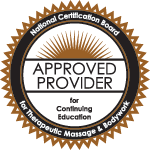 You need CEUs and we've got what you want! Any time you want, as much as you want! High-quality video & text Athletic Training CEUs, including Evidence Based Practice (EBP) courses! 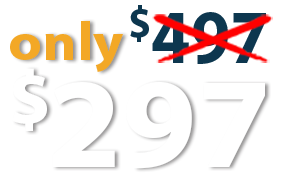 Sign up for your membership now, and pay only $297 (regularly $497)! Save Hundreds of Dollars on Your CEUs! *Your subscription also includes access to our clinical reference tool, Assessment PRO Specialty Tests. Available on the App Store and Google Play, as well as online, Assessment PRO allows you quick, video-based refreshers for clinical assessments and manual therapy techniques. Sign up for your Unlimited CEU Subscription now and get unlimited CEUs until the BOC licensure due date, December 31, 2019. On-demand high-quality video presentations allow you to see and hear your instructor! Receive your certificate immediately upon completion of the online exam. Hundreds of hours of CEUs available now, with a rapidly developing library. Preview the course catalog here. We fill up our schedule with interactive webinars to meet your live CEU requirements! Keep up with all your courses in one location, including certificates you've earned elsewhere! Membership expires at the time of BOC licensure expiration. Current licensure period expires December 31, 2019. Ready to get your Unlimited Access to CEUs? Sign up today for access to unlimited continuing education. Over 500 hours of CEUs, one low price!